Explore a jeweler’s creative uses for duct tape at the bench. 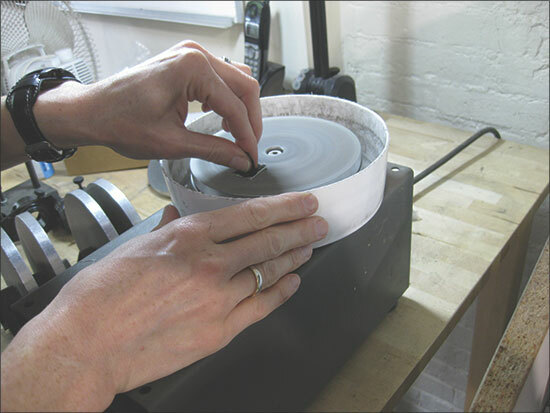 Duct tapes often are used for cuts, and hold an equipment together. When building hydraulic press dies, you may need to glue together several layers of Plexiglas to make a deep forming die. Run duct tape around the outer edge of the stack so that if it shatters during use, the pieces don’t come flying out like shrapnel. 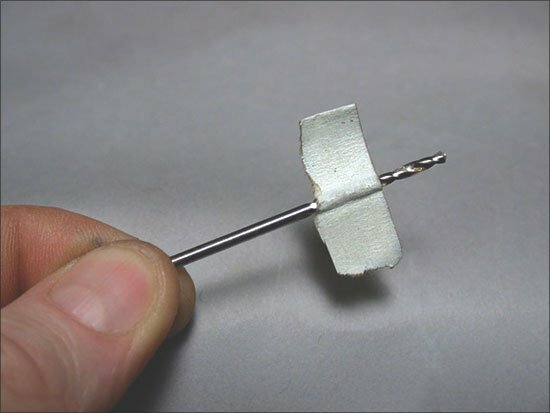 Fold a strip of duct tape over a drill bit or bur, fashioning a little propeller. This effectively blows away dust and debris when you are using the tool. Duct tape is great for holding sheet metal. You can secure a sheet to a flat anvil surface for chasing and using punches on it. Or, when working on a stake or anvil horn with a piece of sheet that is too small to hold with your fingers, use duct tape to hold it there while you hammer it to fit the curve. When gluing together stacks of plastic tubes that will be used to hold files or other tools, use duct tape to hold the tubes together while the glue sets. Follow the same procedure when gluing the tube stack beneath the surface of your bench top, removing the tape once the glue is dry. Jeff De Boer of Calgary, Alberta, Canada, uses duct tape for transferring complex 3-D surfaces to flat patterns — a trick he developed while making armor. Let’s say you want to figure out the flat pattern of a piece of metal that will fit onto a shoulder or another unusual bowl-like shape. Make a pad about a quarter of an inch thick out of crumpled, crushed aluminum foil, and use a mallet to tighten the pad into a flexible blanket. Push the pad onto the shape you want to make in sheet metal, fitting the form, and then cover the outer surface of the pad in duct tape. Draw the outside shape boundaries on with a permanent market. Remove the pad, trim it with scissors to the line, and flatten it out. The flat shape is the pattern you’ll need to cut out of the sheet metal to hammer and form the final fitted part.